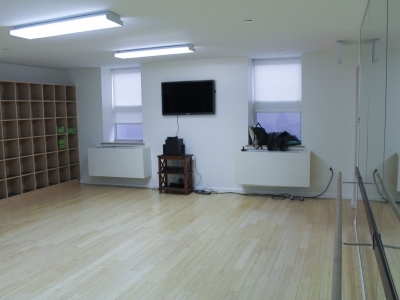 A newly built dance studio with bars and floor to ceiling mirrors on 2 sides, a flat screen TV and DVD player and cubbies. 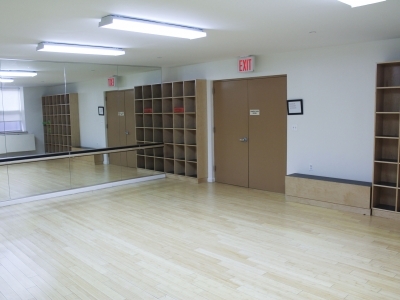 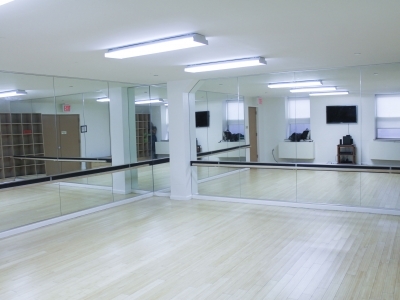 The dance studio is ~20ftx20ft and is located in a senior housing complex run by Fordham Bedford Housing and Community Services. 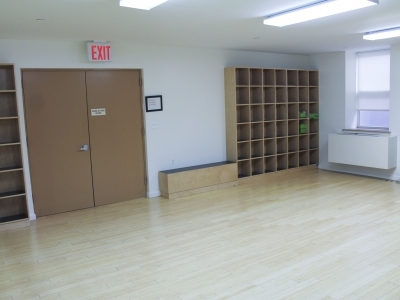 This space is part of the Bronx Space to Connect Program.